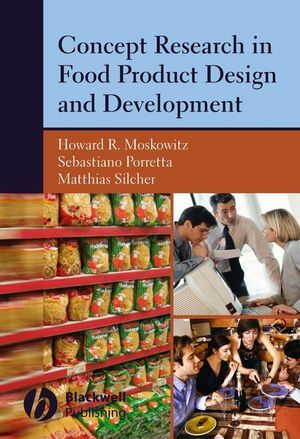 Packaging Research in Food Product Design and Development is the first book to comprehensively address the issues of graphics design and visual concepts, from a systematic, scientific viewpoint, yet with business applications in mind. 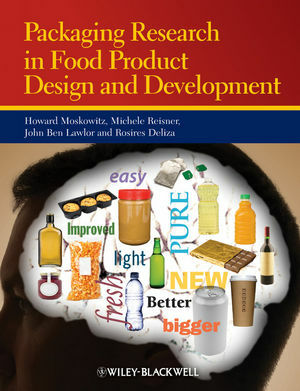 Positioned specifically for foods and beverages, Packaging Research in Food Product Design and Development uniquely combines consumer liking, segmentation and “how to” business methodology with a detailed treatment of the different facets of concept research. Howard R. Moskowitz, PhD, is president and CEO of Moskowitz Jacobs Inc., White Plains, NY, a firm he founded in 1981. Moskowitz is a well-known experimental psychologist in the field of psychophysics (the study of perception and its relation to physical stimuli), and an inventor of world-class market research technology. Among his important contributions to market research is his 1975 introduction of psychophysical scaling and product optimization for consumer product development. A Fellow of the Institute of Food Technologists and member of numerous other professional societies, he has written/edited 18 books, published well over 350 articles/conference proceedings, and serves on the editorial board of major journals. 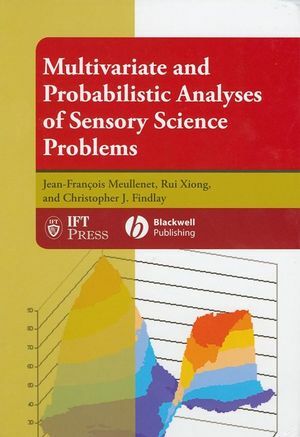 His previous books in this series deal with the evaluation and optimization of products and of concepts, respectively. Michele Reisner is Vice President of Research at Moskowitz Jacobs with over 18 years of sensory and consumer science experience. She is a graduate of the Culinary Institute of America in Hyde Park, New York with a strong culinary background of 15 years as a Pastry Chef. Her worldwide training as a professional Pastry Chef aids her in bringing the voice of the food professional to the research world. Her work at MJI is highly concentrated on experimental design and optimization in both the food and beverage industries. She is a contributing writer to several trade magazines such as Food Product Design and Bakers Journal. She has been published in numerous sensory journals and has authored many trade book chapters. She is a member of Cambridge Who’s Who among Executives, Professionals and Entrepreneurs and a member of the Institute of Food Technologists. John Ben Lawlor, PhD, is a senior sensory and consumer scientist working at GlaxoSmithKline Nutritional Healthcare R & D. Based in Coleford in the U.K., his responsibilities include sensory evaluation, consumer project idea generation, design, implementation, and analysis. Rosires Deliza, PhD, is a food engineer and research scientist at Embrapa Food Technology (Brazilian Enterprise of Agricultural Research) in Rio de Janeiro. She is the author of more than 40 scientific publications on sensory evaluation and consumer studies on consumer expectation, packaging effects on consumer product perception, and attitude towards new technologies.